Developmental psychologists often invoke the idea that human development reflects “dynamic systems”—complex, non-linear processes (e.g., physiological, neural, psychological, behavioral) that organize the way we adapt to changing contextual demands. In practice, however, these complexities often serve more as theoretical touchstones than purposeful targets of investigation. In this presentation, Dr. Berry introduces some of the ways that we’ve begun to leverage the time-series dynamics of visual gaze, behavior, and autonomic physiology as a means of better understanding these complexities in children’s self-regulation development. 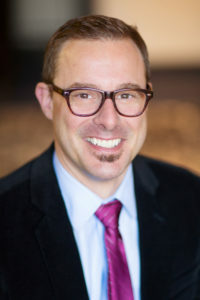 Daniel Berry is an Assistant Professor at the Institute of Child Development, University of Minnesota. His research concerns the “real-time” and long-term role of context in children’s self-regulation development.